It’s happened to us. We’ve lost something. We look around and we realize someone else has it in their hands. We approach them, “Excuse me, but I think that’s mine”. They look up and say “I just found it, and I was thinking it looked just like something of yours”. What do they mean by that?!? They mean that the very way you live and present yourself; screams a story of consistency that says… you! As a business you need to start owning “who you are”. And controlling that message: What exactly do you want people to think of when they hear your name. Or touch your product. Or use your services. Own a “Story”. When someone asks about your company, do you have a compelling short story that incorporates people’s pain and why (or how) you solve it. Own a color palette. Limit the amount of colors you use so people recognize you for the colors. 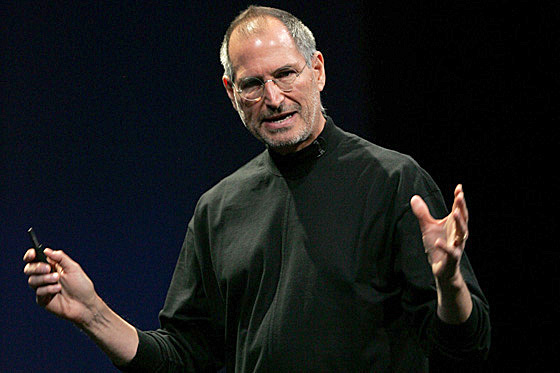 Think Steve Jobs: Black mock tees. Own a font palette. Choose a couple of fonts and stick with them. Make sure they can be used easily in your applications. Own a Smell. Abercrombie stores always smell the same way. Disney parks smell like fresh baking. Own a Sound. Think the 3 chimes of NBC. Or the Surround Sound musical moan. Own a Taste. This is a hard one. But what if you supplied a butterscotch candy with every product. Each time someone tastes that flavor, they’ll think of you. Be Simple. Be Consistent. Be Known. The 3 easy steps to “owning” a brand.